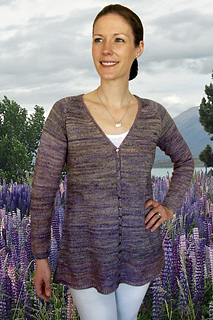 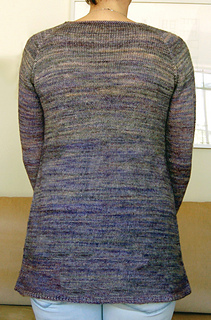 This one piece, top-down trapeze cardigan has raglan sleeves that are worked in the round. 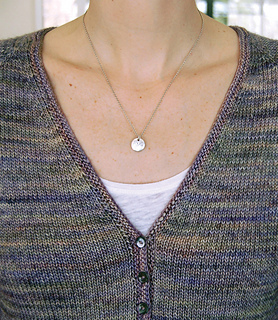 The 16-button band that extends around the neck is added last. 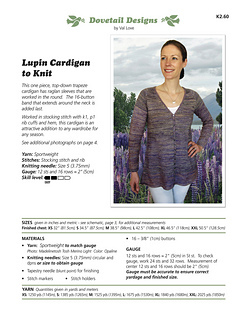 Worked in stocking stitch with k1, p1 rib cuffs and hem, this cardigan is an attractive addition to any wardrobe for any season.